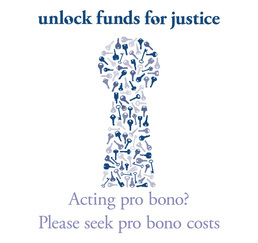 Pro bono costs put vital funds back into pro bono work. Before 2008, legal costs could not be awarded in cases where the winning party was represented for free. Section 194 of the Legal Services Act 2007 changed this. Pro bono costs are just like ordinary legal costs, but where a party had free legal representation. If a civil case is won with pro bono help, pro bono costs can be ordered by the court, or included in settlements. The costs cover any period when free representation was provided and the amount is based on what a paying client would recover. The costs must be paid to the prescribed charity, the Access to Justice Foundation, which distributes the money to agencies and projects that give free legal help to those in need.